(KCBS) Competition Cook Team And Catering Company Providing Authentic American Style Barbecue To The People Of West Australia Since 2011. Our Pit Masters Have Extensive Experience Cooking And Competing Throughout The United States Including; Georgia, Tennessee, Texas, Kentucky And Illinois. Gryphon Smokehouse Is A Proud Member Of The Nation Barbecue And Grilling Association (NBBQA) And Collaborate With America’s Best Pit Masters To Ensure Our Customer Experience True Wood Fire Barbecue At Its Best. 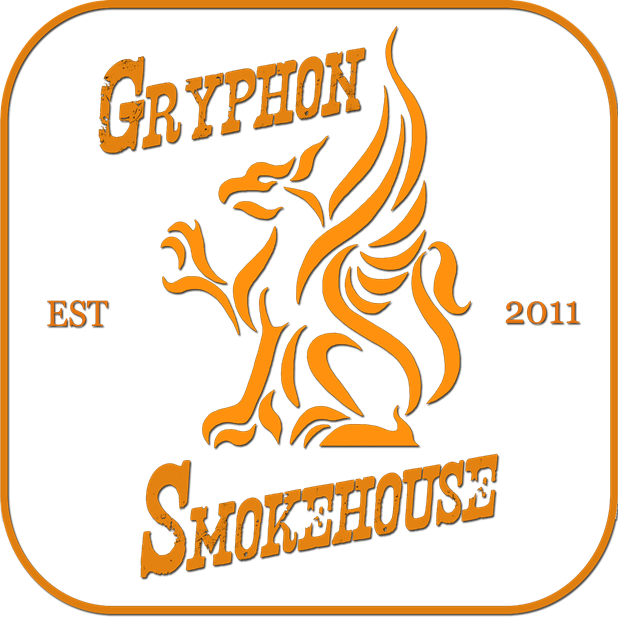 Gryphon Smokehouse Chooses To Cook On Ole Hickory Wood Fired Smoker Ovens Imported From Missouri, USA And Use Cherry Wood Source Locally From South West WA. 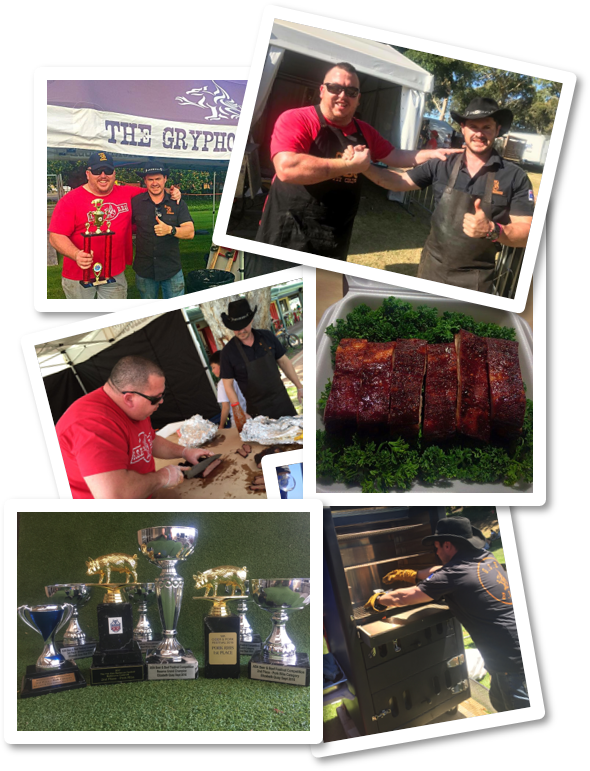 Gryphon Smokehouse has been competing in Kansas City Barbecue Society (KCBS) and Australasian Barbecue Association (ABA) sanctioned competitions in both the United States and Australia since 2015. Reserve Grand Champion 2016 – Beer & Beef Festival,Perth. 1st Place ABA Pork Ribs 2016 –Pork n Cider Festival,Perth. 1st Place KCBS Beef Brisket 2018 – Yaks Ale Melbourne BBQ Festival.